SUPERIOR PROTECTION,9H Hardness and 0.26mm Thickness,,this glass cover maintains the touch capabilities of your GPS navigator while ensuring better smooth touching feeling,Anti-Scratch & Anti-explosion. LASER CUT FOR PRECISE FIT. 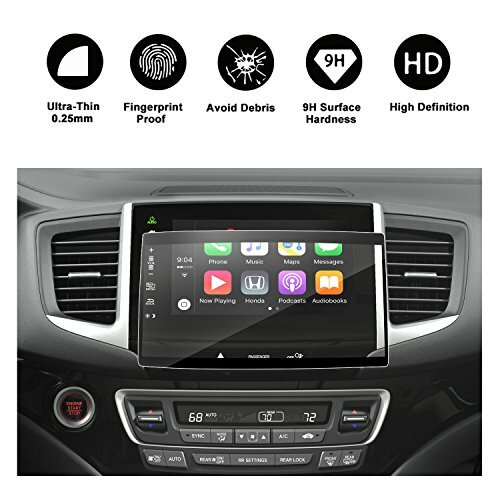 No need to trim the edges, as it is compatible with the GPS navigators of 2016 2017 Honda Pilot Ridgeline Infotainment Navigation Screen.Also provide one time free exchange,if met something unexpected,pls contact our customer service.